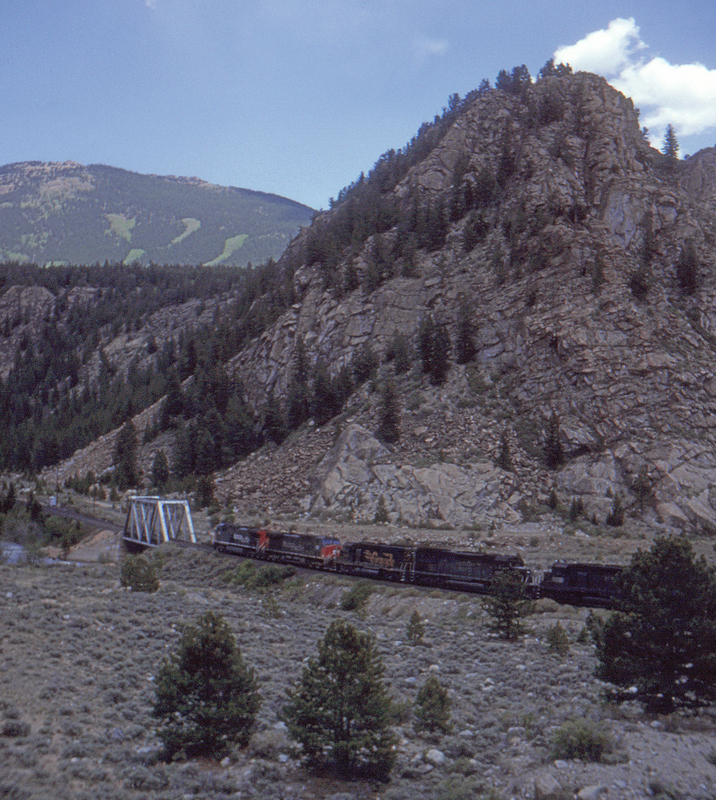 The Denver & Rio Grande's mainline parallels a considerable part of the abandoned Colorado Midland's grade. Here at Granite, Colorado, the grade can be clearly seen between the Rio Grande and the mountain. The bridge crosses the Arkansas River, flowing east on its way to the Royal Gorge.